When what you need is an affordable direct box, there's no reason to go hunting for sweet deals all over the Net. That's because ART offers the Xdirect at a ridiculously low price... all the time. This compact warrior is a single-channel direct box. It has a single 1/4" or XLR input with an XLR output. Easy enough, right? Power it via phantom power or via a battery, both work. And for good measure, you've got an attenuator, a lowpass filter (to kill potential radio-frequency interference), a ground lift button, and a phase invert button. Those are the goods. 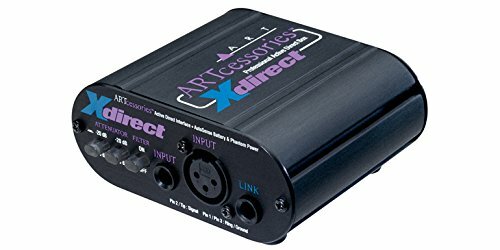 A "does the job" direct box, at a nice price: the ART Xdirect. If you have any questions about this product by ART, contact us by completing and submitting the form below. If you are looking for a specif part number, please include it with your message.